​The purpose of this experiment was to determine the shelf life and lifespan of our Wiggle Room worm castings. A three-tray experiment was conducted. The left tray was used as a control and filled with 100% soil, the middle tray was filled with 90% soil and 10% 16-week old Wiggle Room worm castings, and the right tray was filled with 90% soil and 10% freshly harvested Wiggle Room worm castings. 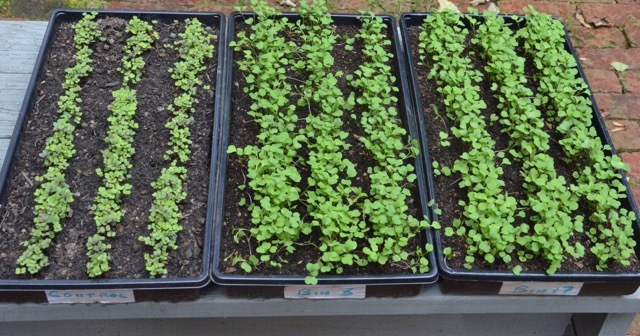 All trays were started on September 24th using the same soil and same number of microgreen seeds. The trays all received the same watering regimen and sunlight. The results are shown below after two weeks and after six weeks. Pictured on the right are the results after two weeks. The control tray shows little growth while the two trays with worm castings show high levels of growth. At this point the two trays with worm castings appear equal in height, leaf volume, and germination. The results so far indicate no difference between the 16-week old worm castings and the newly harvested worm castings. Results after two weeks. The left tray is the control with no worm castings, the middle tray contains 16-week old worm castings, and the right tray contains freshly harvested worm castings. Pictured on the right are the results after six weeks. The control tray still shows very little growth while the two trays with worm castings show very high levels of growth. 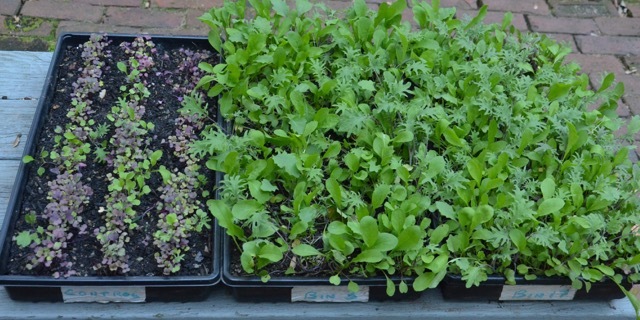 The two trays with worm castings still appear equal in height, leaf volume, and germination. These results match the two-week mark and further indicate no difference between the 16-week old worm castings and the newly harvested worm castings. Results after six weeks. The left tray is the control with no worm castings, the middle tray contains 16-week old worm castings, and the right tray contains freshly harvested worm castings. In summary, our Wiggle Room worm castings function very well whether new or after being stored. Great results were achieved for both 16-week old castings and newly harvested castings. We will continue to test older castings to determine the maximum amount of time our castings can live for but so far all results have been positive.